Golf is the game of kings. Or is that polo? Whatever, no matter. Golf is also a game about a bag of tools. Wood or iron? What's your favorite number? The more tools in your bag, the better. So this two-in-one golf putter seems pretty smart! 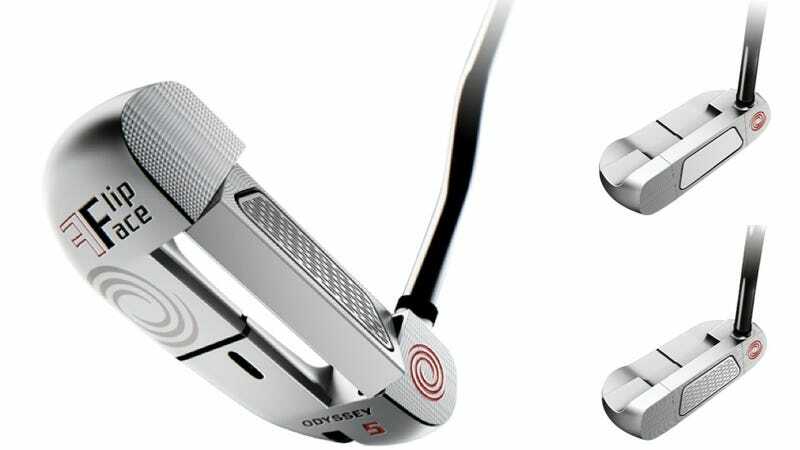 Called the Flip Face putter by Odyssey, the putter is two slightly different putters for two very different situations, all in one club. The way it works is that golfers can rotate the putter face 180 degrees to choose between two different inserts, a White Ice insert for hitting at controlled distances and a Metal-X insert for consistent speed. Options!